factsheet. 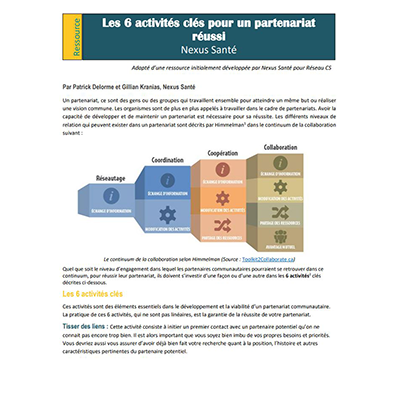 Of course, each partnership will practice the activities in their own unique way. The activities are as equally relevant for forming or maintaining a community partnership.